VALTRO (known in the USA as ATIS) is an Italian company manufacturing a variety of 12-Gauge shotguns, well-known and employed all over the world for Military-LE purposes, but also on the civilian market. 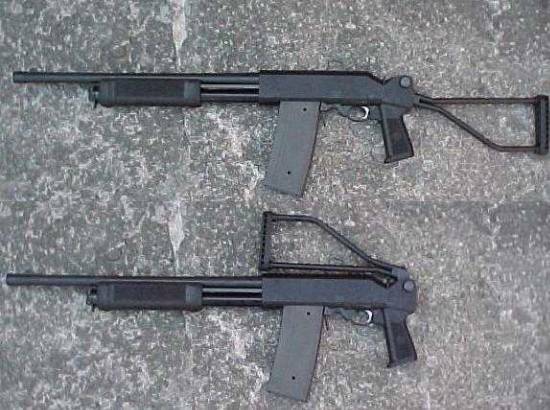 All of the Valtro shotguns can fit special 8-rounds (or 6-rounds, for the civilian market) magazines. A folding stock version of the ATIS Trusty-PM, for Military purposes.